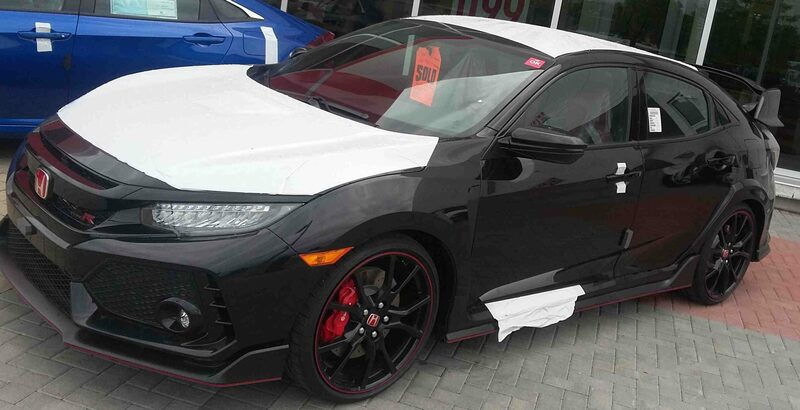 We have received our first EVER Civic Type R! It didn’t even have time to get into the Showroom before it had been sold! Come and see it while you can before it goes home with its new owner! 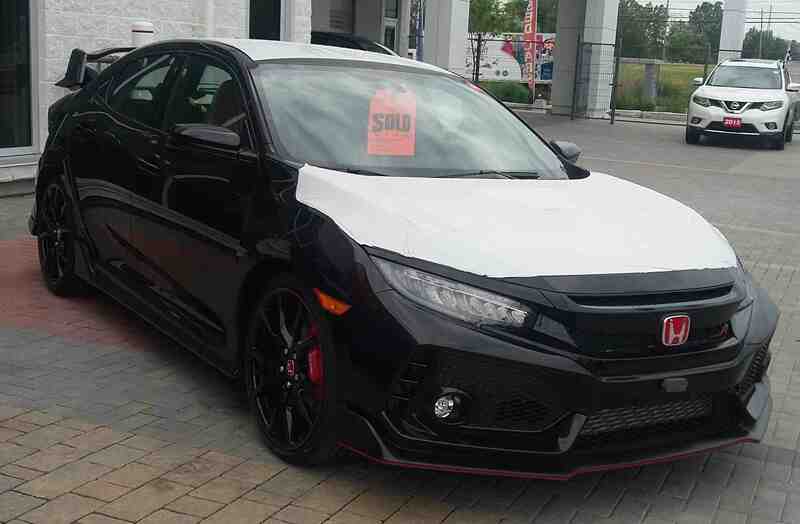 The Civic Type R is gorgeous in the “Crystal Black Pearl” paint colour, with red accents. It is powered by a 2.0L, 16-valve, Direct Injection, DOHC, VTEC, turbocharged, 4-cylinder engine with a 6-speed automatic transmission. It has a three-mode drive system, with “Comfort”, “Sport”, and “+R” modes. The Civic Type R really stands out in a crowd! 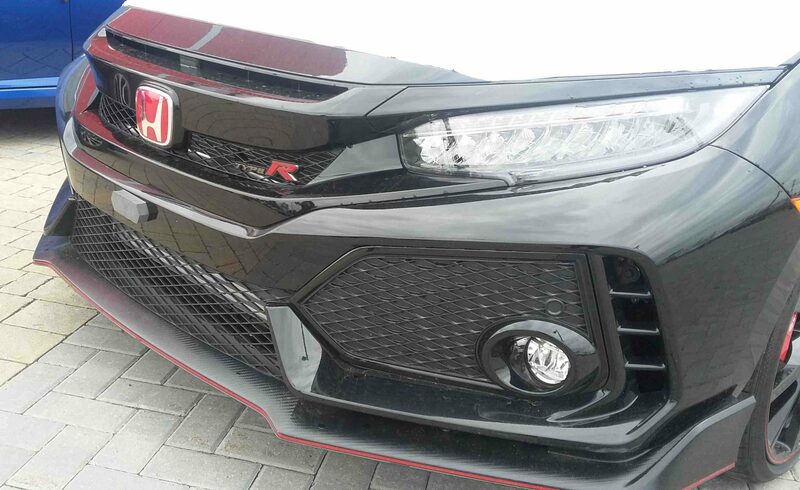 It proudly displays a red Honda “H”, and the Type R logo on its front and rear. It sits on 20 inch aluminum-alloy wheels in “Piano Black” with red styling. It comes with a rear wing spoiler, shark fin antenna, and a triple center exhaust with a chrome finisher. Its bumpers, door handles, and vortex generator are body coloured. 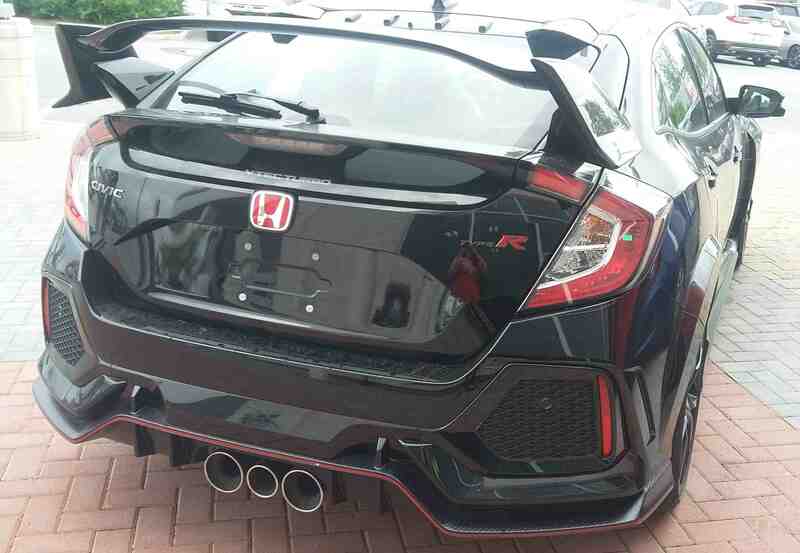 Surrounding the Type R is a set of front, side, and rear skirts that have a carbon fibre finish and red accents. The inside of the Civic Type R continues the theme of red, black, and chrome. The seats are all red and black, with the Type R logo. It has an aluminum shift knob, textured aluminum pedals, and a leather wrapped steering wheel. The 2017 Civic Type R has a vast collection of technology for you to play with! To keep you safe on the roads, it has HondaLink Assist, LaneWatch blind spot display, a multi-angle rearview camera, and the Honda Satellite-Linked Navigaton System. To make life a little easier, the Type R comes with proximity key entry, pushbutton start, and walk-away door locks. You can listen to music or make a phone call with its Apple CarPlay, Android Auto, HD Radio, or Bluetooth Streaming Audio! 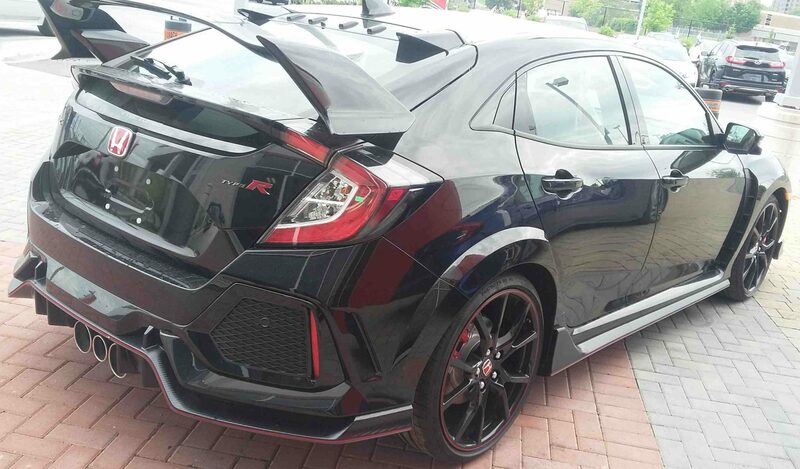 If you have any questions about the 2017 Civic Type R, click here to contact us!